Fall Family Minis are ALWAYS so popular in the Portland area! Mini sessions are perfect for the family that wants a quick updated family portrait. At just 20 minutes, toddlers and teens are unlikely to get too distracted or irritated. 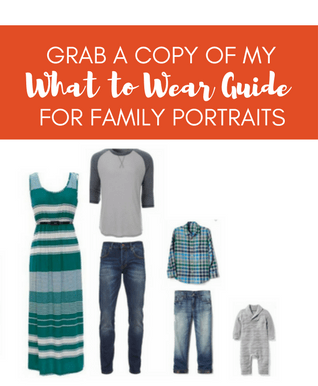 These are casual photoshoots, perfect to use for your holiday cards or even finally get a print of your family on the wall. This year I’ve got four dates and a new type of mini session! Plus a day of personal branding minis if you need to update your headshot! Family Minis are so much fun! No matter your child’s age, from 0-20+ we’ll capture your family looking beautiful. I’ve heard it all, my kids never smile for the camera, my teen hates his picture being taken. Trust me, I’ve been doing this for several years and have a few tricks to get some real smiles and take a great family picture for you in under 20 minutes. These will be at a local park in the Tigard/Beaverton area and if we’re lucky (no rain please!) we’ll get some beautiful fall color in the background. If you didn’t see the pictures from my Senior Squad Spring Styled shoot, head over to my facebook page to see how much fun this type of shoot is! I thought there must be families that would love to get messy, throw powder and take some truly unique family pictures! These sessions are perfect for families with kids age 8 and up. No need for special clothes, hair or makeup. Dress everyone in white shirts, jeans and have a blast! (The powder won’t stain unless it gets wet) Your friends and family will ALL be talking about how unique and fun your holiday cards look this year! After each Family Mini Session, I’ll select the best images, edit and load in a personal online gallery for you to view and select your favorites. Additional prints and products are available but there is no minimum purchase with mini sessions. Personal Branding Headshot Minis are perfect to update your headshot for 2018. If you haven’t updated your headshot in awhile, changed your hairstyle or just don’t love the cellphone snap you’ve been using as your headshot, then this is the perfect photoshoot for you! I’ve got a guide on hair, makeup and what to wear so you’ll feel prepared. The photoshoot will be at the studio, close-in SE Portland. The studio is easy to access, with free parking, and a restroom/changing room. After your session, I’ll send an online gallery to pick your favorite image and you can download immediately. In just a few days you’ll have a fantastic updated headshot you can put on your facebook business page, your business instagram account or even your About Me page on your website! Mini Sessions in the Fall are a great way to update your family portrait or even a great headshot for business! Click the images above to view the remaining dates and times and book your mini session before they are all gone!